Pricing is based on family of 2 adults and 2 children aged between 7-12 years, adult pricing. Subject to currency fluctuation and availability. Travel dates from 23 to 29 December 2016. Early bird special valid until 30 November 2016. Pricing is based on family of 2 adults and 2 children aged between 7-12 years, adult pricing. Subject to currency fluctuation and availability. Travel dates from 26 February to 25 March 2017. Early bird special valid until 30 November 2016. There is something for everyone at Mt. 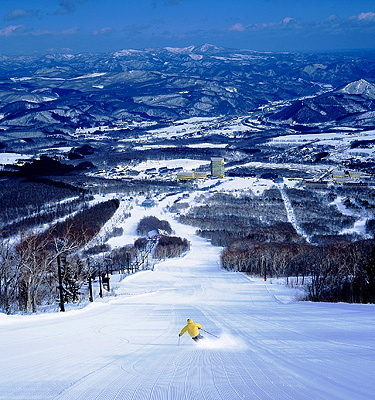 Naeba, which combines the Naeba and Kagura Ski Areas to form a comprehensive winter resort located just two hours from Tokyo. Renowned for superb snow conditions and extensive family-friendly facilities, this is a truly convenient destination for outstanding skiing, snowboarding, sledding and other winter activities. Pricing is based on family of 2 adults and 2 children aged between 7-12 years, adult pricing. Subject to currency fluctuation and availability. Travel dates from 9 to 28 January 2017. Early bird special valid until 30 November 2016. Pricing is based on family of 2 adults and 2 children aged between 7-12 years, adult pricing. Subject to currency fluctuation and availability. Travel dates from 5 to 31 March 2017. Early bird special valid until 30 November 2016.